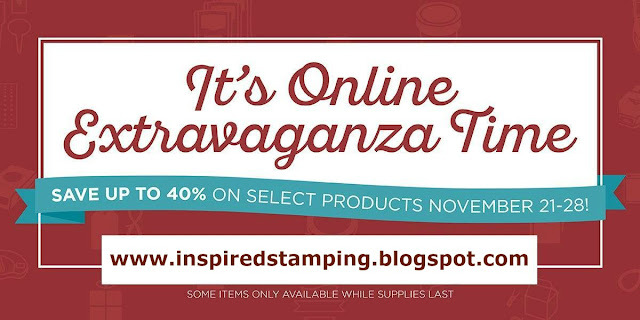 Inspired Stamping by Janey Backer: Online Extravaganza, Bonus 24 hour Sale and Stamping. 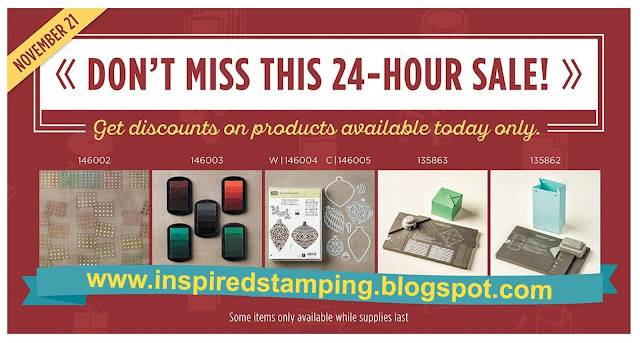 Online Extravaganza, Bonus 24 hour Sale and Stamping. It's time for our annual Extravaganza Sale! You don't have to wait for Black Friday and you get two 24 hour sales on Monday November 21 and November 28 to scoop up extra special savings. Here is tomorrow's product sale starting at 12:01am Monday November 21, 2016. This features our Enamel Shapes, Ombre Pads, Ornament bundle, Box Punch Board, and Gift Bag Punch Board. 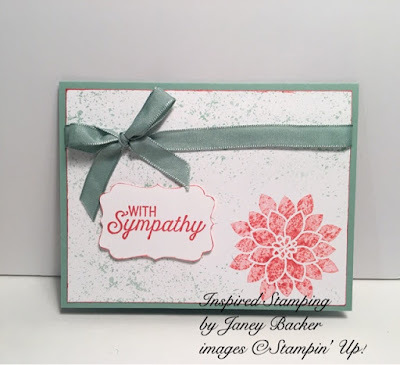 These are great items to make stamping fun, easier and allows for more diversity from cards to gifts! This pretty card showcases the "kissing" technique. I inked my flower stamp with Watermelon Wonder. Then I stamped off once to lighten my ink. I used the splatter stamp inked with Watermelon Wonder to "kiss" onto the flower stamp to create the dappled effect of two color layers. These are the products that I used to make this card. I hope you like my design.